since the Cimarron, now in need of a routine overhaul after thirteen voyages, was sent to the Philadelphia Navy Yard for the six-month conversion described previously (see chapter 10). During the late spring and early summer of 1940, events in Europe and the increasing threat of U.S. involvement in an overseas war galvanized Congress into passing a series of acts that had a profound effect on the U.S. Navy. Prior to this time, the navy's construction efforts had focused on building various types of combatants. The status of naval auxiliaries had not changed appreciably since the early 1920s. Most were old and "almost all [were] still lacking in speed. "3 Although a program to build modern auxiliaries had been initiated, Congress was still reluctant to appropriate funds for any non-fighting warship. This situation changed dramatically between June and July as a direct result of the fall of France and the growing threat in the Pacific. In the relatively short space of five weeks, Congress passed two major appropriation bills and three regulatory acts that immediately doubled the allowable size of the fleet and changed the manner in which all new vessels were procured. The first of these measures, the "Third Vinson Bill" passed on 14 June 1940, authorized an 11 percent increase in the combatant tonnage of the fleet. This bill was followed on 20 June by the "Reorganization Bill," which created the Bureau of Ships (BuShips), consolidating the functions of the Bureau of Engineering and the Bureau of Construction and Repair under one roof. Four days later, on 24 June, Congress passed another act abolishing the Construction Corps, eliminating the staff position of constructor, and transferring all former members of the corps into the regular navy as "engineering duty only" officers (EDOs). The fourth bill passed during this period was the "Speed Up Act" of 28 July. Enacted to expedite the procurement of ships, the act authorized the secretary of the navy "to negotiate contracts for the acquisition, construction, repair or alteration of complete naval vessels," eliminating the need to secure competitive bids as had been the policy in the past. The Esso Albany was acquired as scheduled and immediately commissioned as Sabine (AO-25). 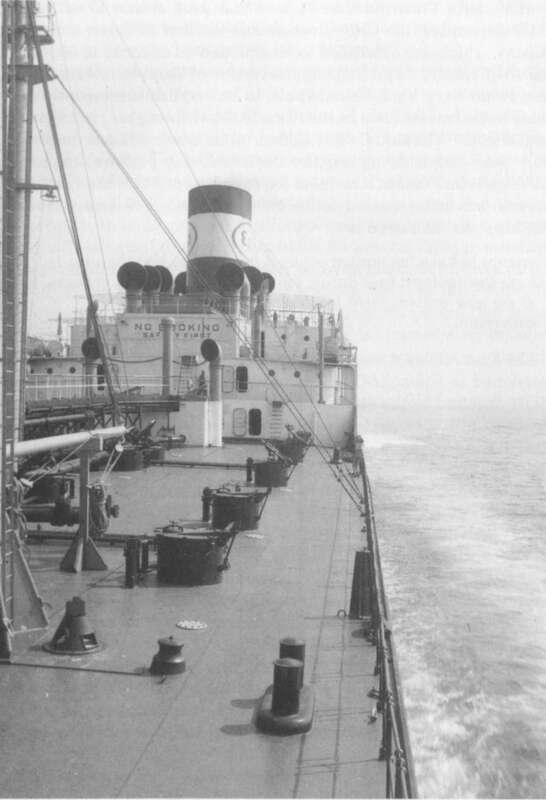 Although the Esso Columbia was officially acquired by the navy in November 1940, the ship did not join the fleet until April 1941 when she was commissioned as the Salamonie (AO-26). Salamonie appears to have been converted as planned since she was the only other ship of her class, besides the Cimarron and the Platte, modified to carry the full complement of four 5-inch, 38-caliber guns originally called for. 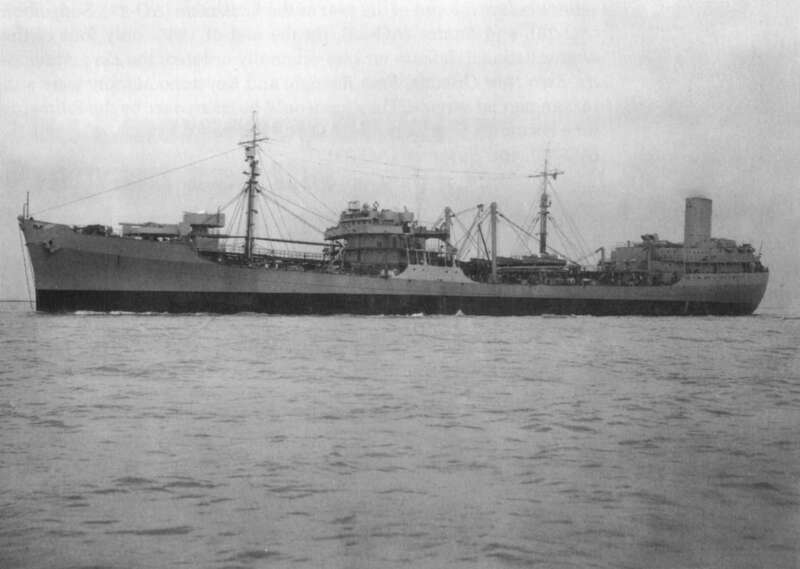 On the day that Sabine was acquired, 25 September 1940, the secretary of the navy wrote to the maritime commission stating the navy's desire to acquire two more of the Cimarron-class tankers with delivery expected in September of the following year.7 The maritime commission agreed to undertake design and construction of these vessels for the navy; a conference was held at the Bureau of Ships on 3 October 1940 to discuss additional features that the navy wanted added to the ships while they were still under construction.8 No sooner had these arrangements been made than the secretary of the navy issued a directive requesting the immediate transfer of the Esso Trenton, Esso Richmond, and Keystone Seakay to the Department of the Navy.9 All were sister ships of the Cimarron and were thus subject to requisition by the navy under the provisions of the Merchant Marine Act of 1936.
service before the end of the year as the Kaskaskia (AO-27), Sangamon (AO-28), and Santee (AO-29). By the end of 1940, only four of the twelve national defense tankers originally ordered: the Esso Annapolis, Esso New Orleans, Esso Raleigh, and Keystone Markay were still in commercial service. They too would be taken over by the following June becoming the Chemung (AO-30), Chenango (AO-31), Guadalupe (AO-32), and Suwanee (AO-33).